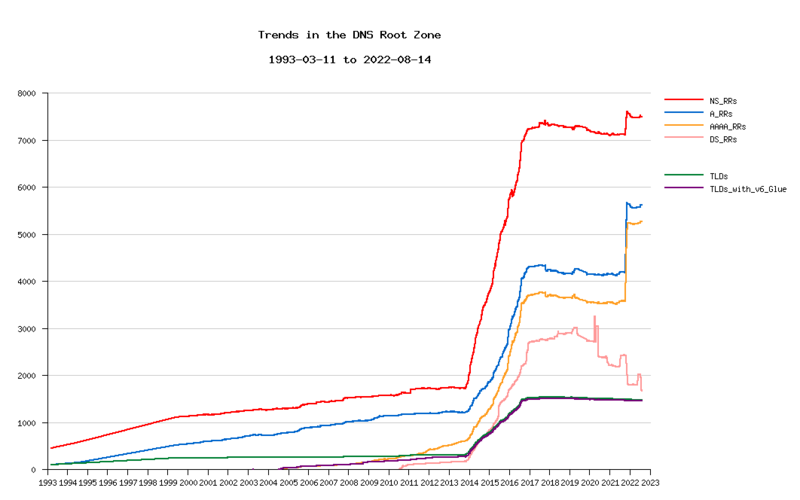 With the assistance of its members and friends (especially AFNIC, RIPE, Paul Vixie, Duane Wessels, Peter Koch and Paul Hoffman) DNS-OARC has assembled a historical archive of the DNS root zone dating back to June 1999. This Root Zone Archive is a part of our larger project, the Zone File Repository. If you have even older data that you can share, or can help fill in some of the gaps, please contact us.